Even though October was Disability Employment Awareness Month, we should make every month Disability Employment Awareness Month. Every business owner should be trained to be advocates for people with disabilities so that they can better able to recognize the impediments that these people face when seeking employment and when actually working. Knowing these impediments can better help an employer focus on the strengths that people with disabilities have and reward for those strengths. According to the department of labor, the unemployment rate for people with disabilities was 9.2% in 2017. The unemployment rate for the general population without disabilities is 3.9%. The problem is that many employers who focus solely on profit see people with disabilities as a hindrance adding to their costs. Alyssa, a client of employU, completed the last day of her YOJT at Spectrum Thrift Store where she worked as a Sorter. She successfully completed her training, and has always displayed such a positive attitude at work. Everyone at Spectrum Thrift loves Alyssa and her work ethic that she brings. Sarah is another client of employU who is a rock star. She is deaf and wanted to prove to the world that she could be employed just like everyone else. 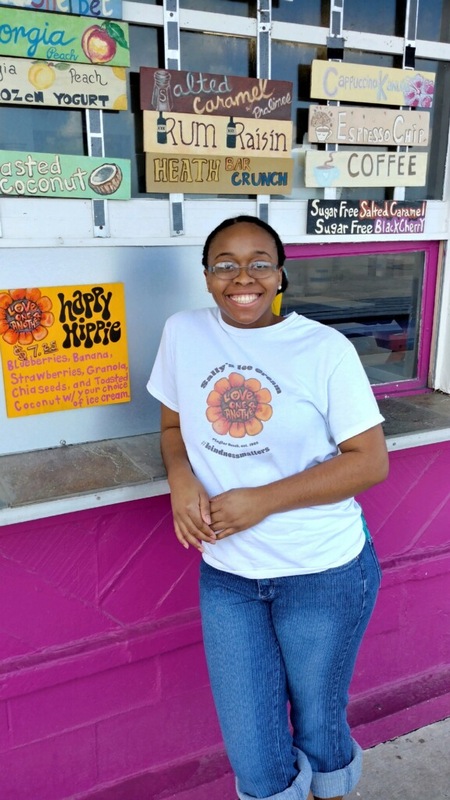 She recently completed an incredibly successful OJT experience with Sally’s Ice Cream in Flagler Beach and as a result, was hired on as a permanent employee. Her goal is to become a dessert chef, and at Sally’s, she is learning all about how to make vegan ice cream, homemade sauces, waffle cones, and will soon learn how to make/decorate ice cream cakes. Even cooler, the owner of Sally’s has taken a special interest in recognizing Sarah’s desire to conquer the work world and is assisting her to learn about what goes into owning your own business. Sarah is truly rocking it! Keith Bourkney, Executive Director of employU said, “You need to look at a person with a disability, the same way you look at anyone who walks through your door for employment.” However, there are employers out there that are coming around to give these people a chance. Many non-profit employment agencies help to bridge the gap between employers willing to take a chance on these groups of workers, as well as train people with disabilities to achieve their goal of a satisfying job.